I didn’t care what anyone said (or says, even today!). 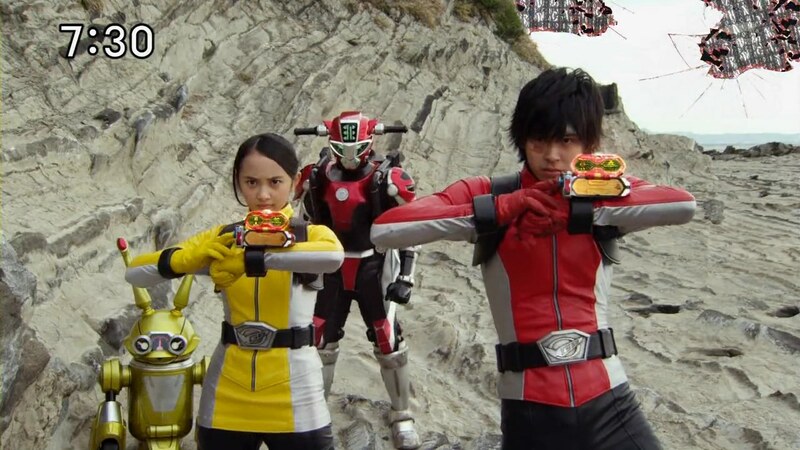 But I loved Tokumei Sentai Go-Busters. 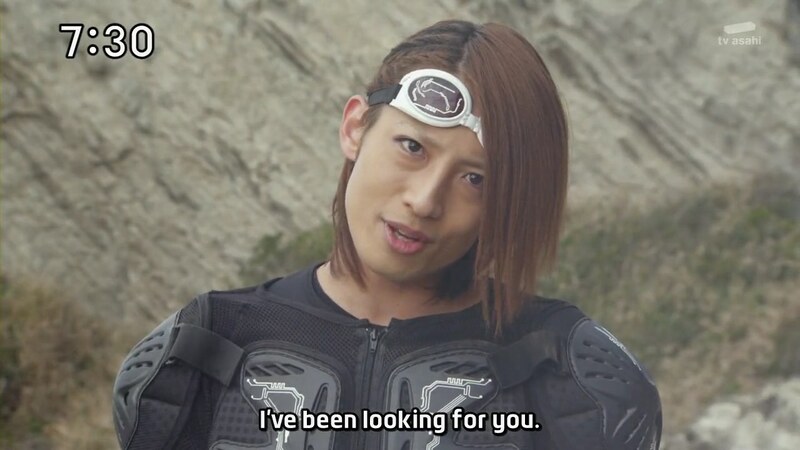 It had everything I look for in a Sentai or Power Rangers season. 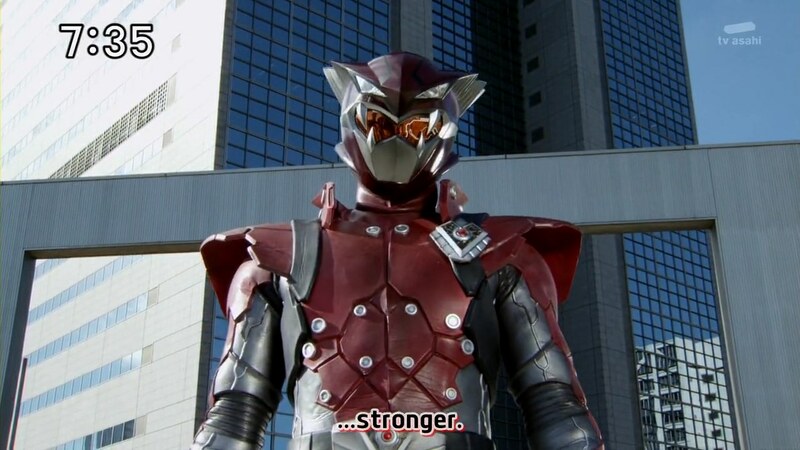 I’ve definitely been missing it lately, even though I like Kyoryuger just fine. 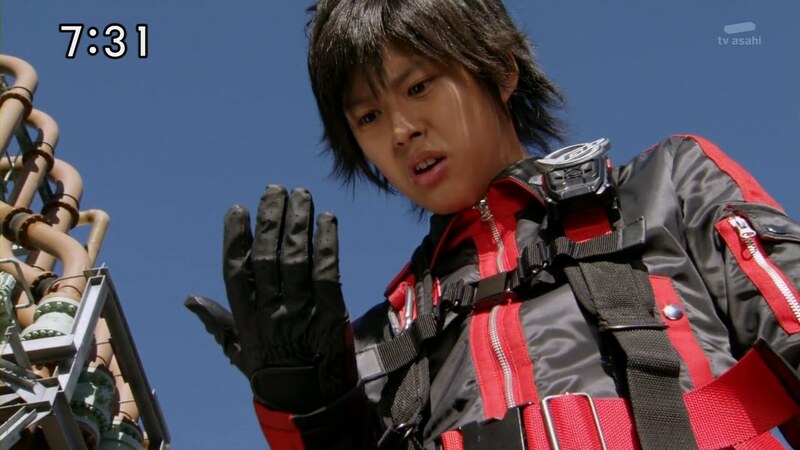 So as soon as I found out the Go-Busters V-Cinema was subbed, you can bet I watched it immediately. 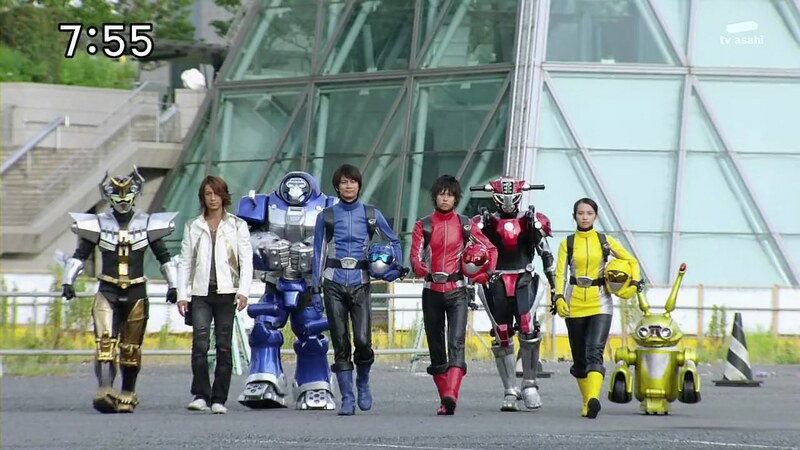 Tokumei Sentai Go-Busters Returns vs. Dobutsu Sentai Go-Busters is fun, exciting and surprisingly full of heart. Certainly qualities the series had, but here, taken to outrageously hilarious heights. 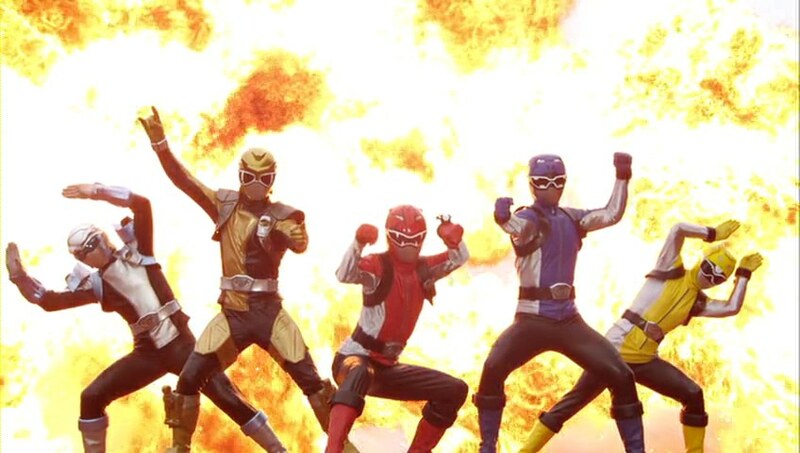 It was my fourth Super Sentai series and I can confidently say Tokumei Sentai Go-Busters may be my favorite one so far. It was an experimental season that toyed with formula. It featured a dramatic, emotional storyline, but didn’t forget to have a little fun to help put things into perspective. It had legitimate and truly surprising twists that kept things exciting. It had a large group of likeable characters and a deliciously crafty and slick villain. The Go-Busters are fine, but separated. They decide to meet up at Jin’s hangar, but Enter has other plans. He fires at Hiromu, Yoko, Nick and Usada. Enter henshins into a modified Red Buster and attacks the others. 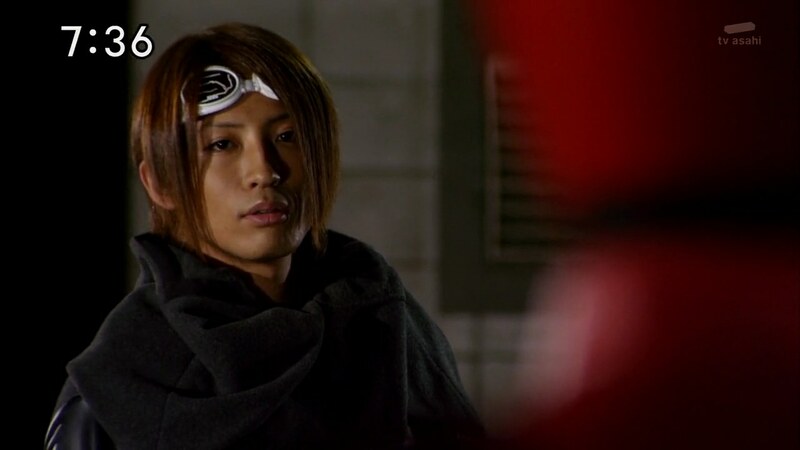 He uses Hiromu’s own moves to fight them. 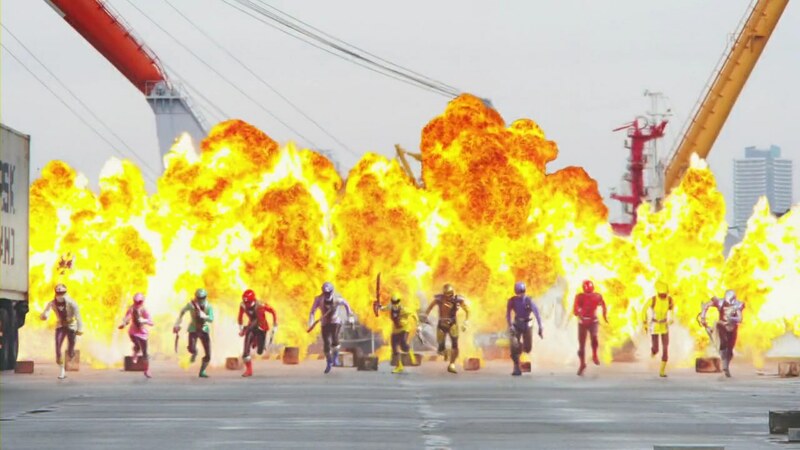 Recap: Tokumei Sentai Go-Busters, Mission 46 – The New Fusion and Overheated Rampage! Nick and Gorisaki are helping Hiromu and Ryuji work out in the gym, but Nick notices Ryuji is out of it. Gorisaki tells them about this morning.